The upcoming 2019 Nissan Titan pickup truck is entering its second generation as an all-new model for 2019. In order to keep the pace up with the competitors like Ford F-150 and Toyota Tundra, Nissan is planning some new stuff along the way. 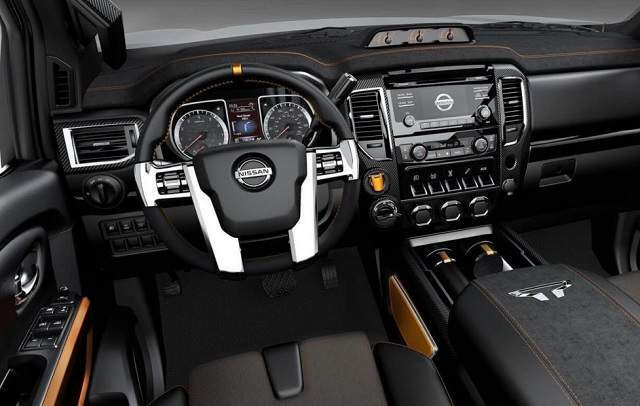 New Nissan Titan 2019 offers many new configurations and different trims and engines. Furthermore, Titan offers great features for securing a cargo. This fresh pickup truck is following the steps of his heavy-duty big brother, Titan XD. Both trucks have similar styling and design. The 2019 Titan lack some drivetrain variety, but with new engine beign updated, we could expect some seriour progress. Like we said above, the Titan shares much of its looks with the Titan XD. Of course, there are few key differences in the shortened length. This shorter length is visible behind the headlights and in the bed. Titan’s front tow hook is now placed into the bumper opening, not under the bumper like on some previous models. But if the new Titan looks bigger and bolder to you, don’t be tricked, because it is bigger than the last year. Everything from the front grille to the headlights and mirrors is sized up. The half-ton Titan is 229 inches long, but that is still a foot shorter than Titan XD that is built on a more robust chassis. The standard crew-cab features a bed that is 5.4-foot long. As the trims go higher, bed size could be up to 8-foot long. Lower trims can fit up to six passengers mostly thanks to the split front bench. However, the most popular choice among the customers is a pair of front bucket seat that lowers the capacity to five passengers. Fine, soft-touch materials are all over the cabin which is a great thing for a work truck. Rear seats can be flipped up, in order to create wide space in the rear of the cabin. Nissan is coming with a 360-degree camera system and Zero Gravity front seats. The infotainment system is typical Nissan, and all the functions are easy to find. Features like traction control, heated steering wheel, and parking sensor are all coming as standard. The ports like USB and AUX are included as well. Higher trims offer you a leather interior and climate-controlled front seats. Furthermore, different safety features are optional and updated 7-inch infotainment system is also available. The engine that will power a whole new 2019 Nissan Titan is a 5.6-liter gasoline V8. This engine is connected to a 7-speed automatic transmission and it comes with two-wheel drive (2WD) and four-wheel drive (4WD). This unit is producing up to 400 hp and 400 lb-ft of torque. The towing capacity is around 9,350 pounds. Fuel economy is 15 mpg in the city and 21 mpg on the highway. Another engine is set to join later, it is a diesel 5.0-liter Cummins V6. We should expect this pickup truck in the first half of 2019. 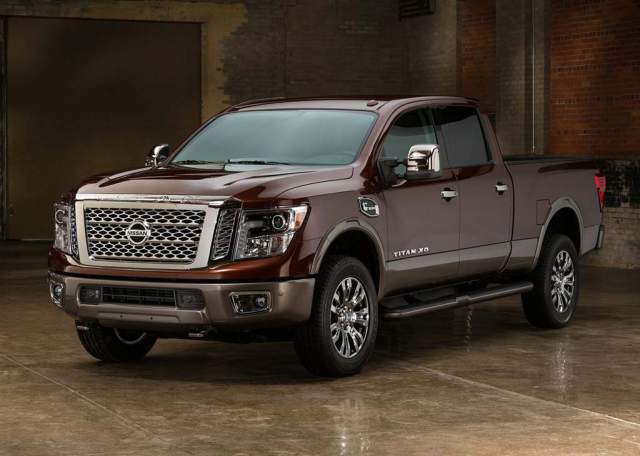 The start price for the upcoming 2019 Nissan Titan is around $37,000. This price stands for a base model, while for higher trims you could finish paying up to $60,000. We must mention that for every trim you choose, 4WD adds another $3000 to an existing price. Likely competitor is Toyota Tundra, Ford F-150, and Chevrolet Silverado.